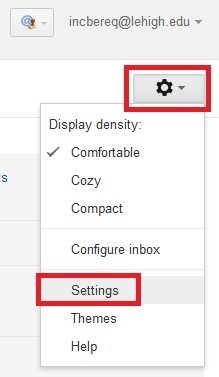 Click the Gear icon, then Settings > Accounts. Next to Grant access to your account, click Add another account. Enter your email address, then click Next Step. Click Send email to grant access. Log into your email to access the request. Click the link to accept this request. 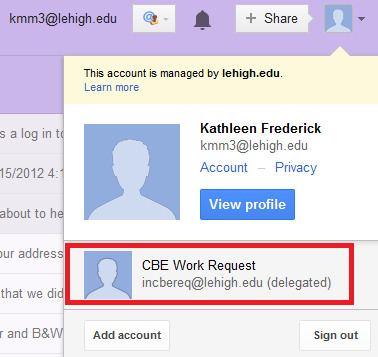 After 30 minutes, you'll see the "in" account listed in the pull-down menu under your personal Lehigh email address.